Every year I typically try to do something fun for Jill’s birthday. It usually involves a small party with multiple variations on a type of food. One year I made three types of pizza from scratch, one year I made three different types of brownies, and one year I made four types of macaroni and cheese. Unfortunately, due to schedule conflicts, we did not have a party last year. Not wanting to let the opportunity pass un-celebrated this year, we decided to pick the tradition back up. This year Jill requested a cupcake tasting. 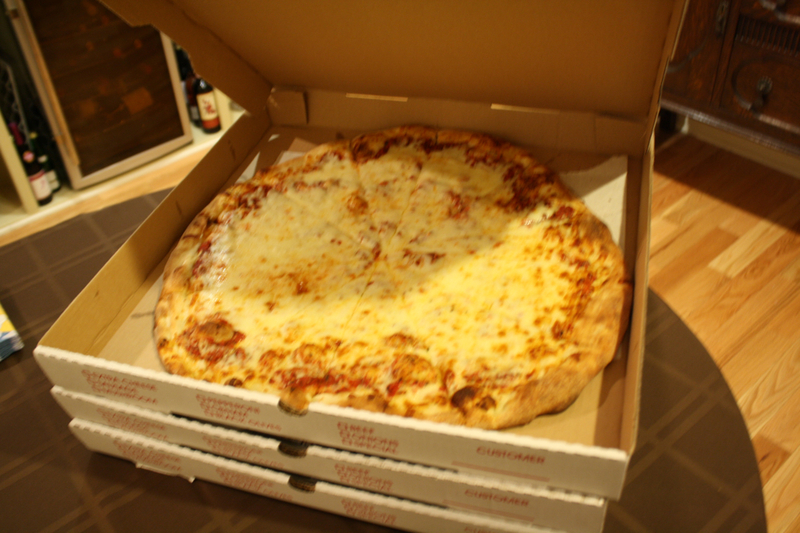 We ordered three 20 inch pizzas from Decent Pizza: a cheese pizza, a pizza with Bradley’s Sausage (a locally made sausage) and fresh mushrooms, and a pizza with eggplant and spinach. The pizza was served, of course, with a selection of Cupcake Vineyard wines, including chardonnay, sauvignon blanc, cabernet sauvignon, and merlot. 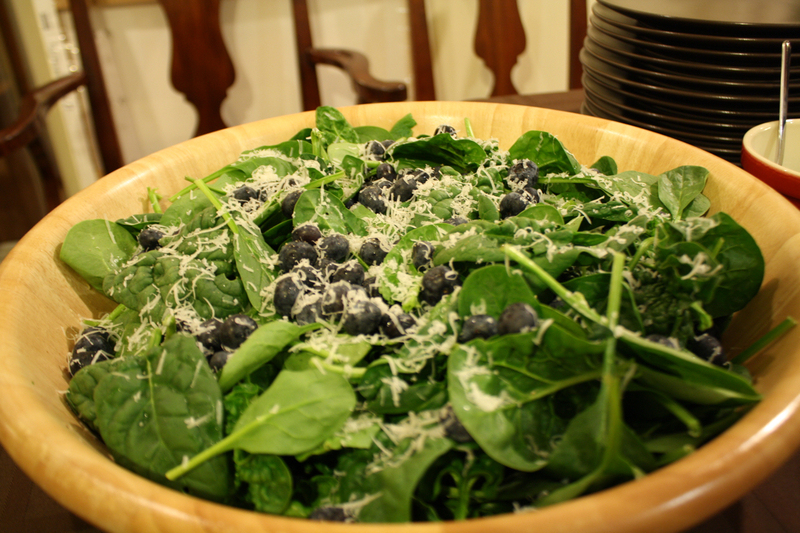 I made a spinach and blueberry salad with the most delicious spinach (grown in my parents garden), organic blueberries from New Leaf Market, and freshly grated parmesan cheese. My parents always grow this amazing, hearty, dark green spinach; it makes the spinach from the grocery store seem flat and tasteless. Following the pizza and salad came the cupcakes. I made a selection of regular-sized and mini cupcakes in four flavors. 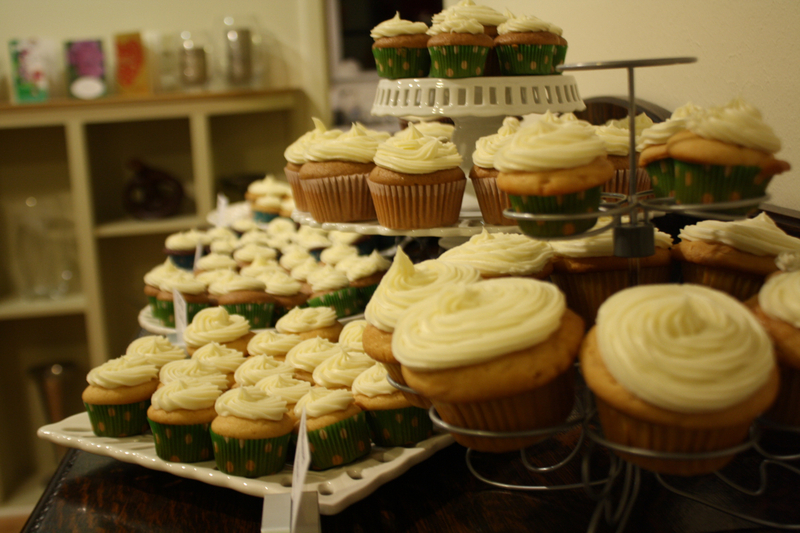 The wildflower honey cupcakes were made with honey from the bees Jillian’s family used to keep to pollinate the orange groves. Sunflower seed butter cupcakes were a more subtly flavored spin on peanut butter cupcakes. Chai tea cupcakes were a boldly spiced cupcake to contrast the more delicately flavored wildflower honey and sunflower butter cupcakes. The red velvet cupcakes, a cupcake standard, were made with natural red food coloring made from beet and hibiscus extract. The natural food coloring did not give the cupcakes the same intensely red color traditional red velvet cupcakes have, but they tasted great. While we liked each of the cupcakes, Jill and I both agreed that the sunflower butter cupcakes were our favorite. I found your post while looking for sunflower butter recipes. As a blogger for SunButter (brand of sunflower seed spread), I love your adaptation, and am thrilled your sunflower butter cupcakes made for a great birthday taste-testing celebration. I also like your food coloring idea: I typically use pureed beets, but your hibiscus addition intrigues me. As a fellow cook and baker, I appreciate the taste-testing idea (especially alongside one of my favorites, Cupcake Vineyard wines). Looking forward to following your posts! Thanks for checking out the blog. After reading your comment, I picked up a jar of SunButter sunflower seed butter. It is quite delicious. Thank you.